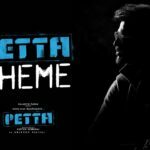 Petta Paraak Tamil Lyrical Song is Out…. Electrifying right from the word go! Dive in for a true Thalaivar experience! Presenting Petta Paraak from #Superstar Rajinikanth’s next Petta! With rock star Anirudh’s trademark all over, this one is for the masses! Directed by KarthikSubbaraj and produced by SunPictures, gear up for a Pongal 2019 feast! Watch the Petta Paraak official lyric video here! Huma Qureshi ‘favored’ to work with Rajinikanth ! !